At the 2nd floor ‘Bellosguardo’ is a pleasent apartment for 2 to 3 guests. 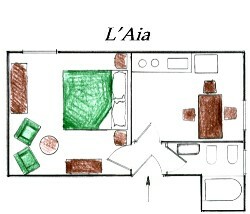 At the lower level ‘L’Aia’ is a cosy apartment for 2 guests. 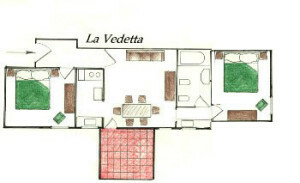 At the 2nd floor ‘La Vedetta’ is a big and charming apartment, for 4 to 6 guests. 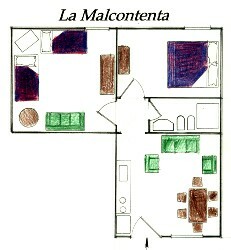 At the lower level ‘La Malcontenta’ is a very nice apartment for 4 to 5 guests. On the first floor ‘Il Limoncello’ is a pleasant apartment for 2 to 3 guests.